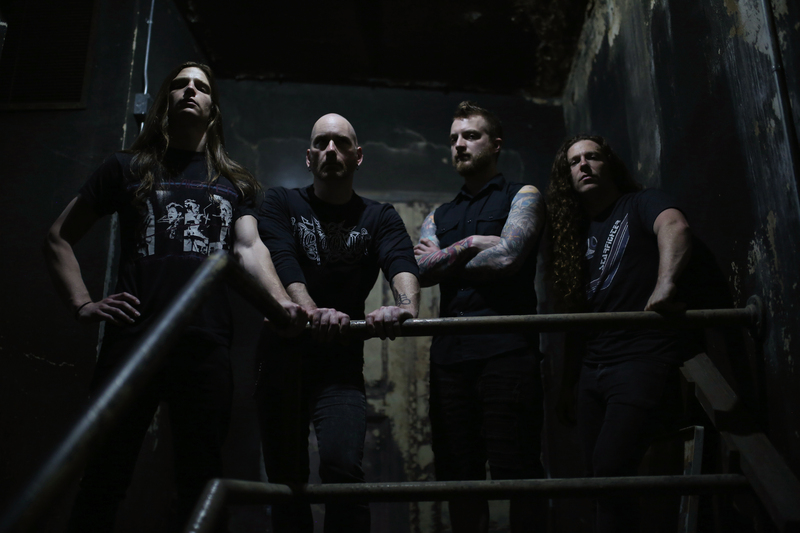 ARSIS shines as a standout in the technical, melodic death metal genre. The American, Virginia Beach-based quartet derived its name from the musical term „arsis and thesis“, in which „arsis“ refers to the unaccented part of a measure. The name’s origin comes as no surprise, considering co-founder’s James Malone’s classical education in music (James‘ a skilled violinist and a composition major), which in turn ads a whole new layer to the way in which ARSIS sounds. And the sound is powerful. ARSIS makes death metal that is righteously tinged with black & thrash influences, but is completely dedicated to expanding the reaches of melodicism and technicality in the genre. „Visitant“, the band’s sixth studio album, offers a glimpse at a band in its peak form; the same band which recorded 2013’s, Billboard-charting „Unwelcome“, featuring The Black Dahlia Murder guitarist Brandon Ellis.